Do you have short, brittle, dehydrated nails that just won't grow long? 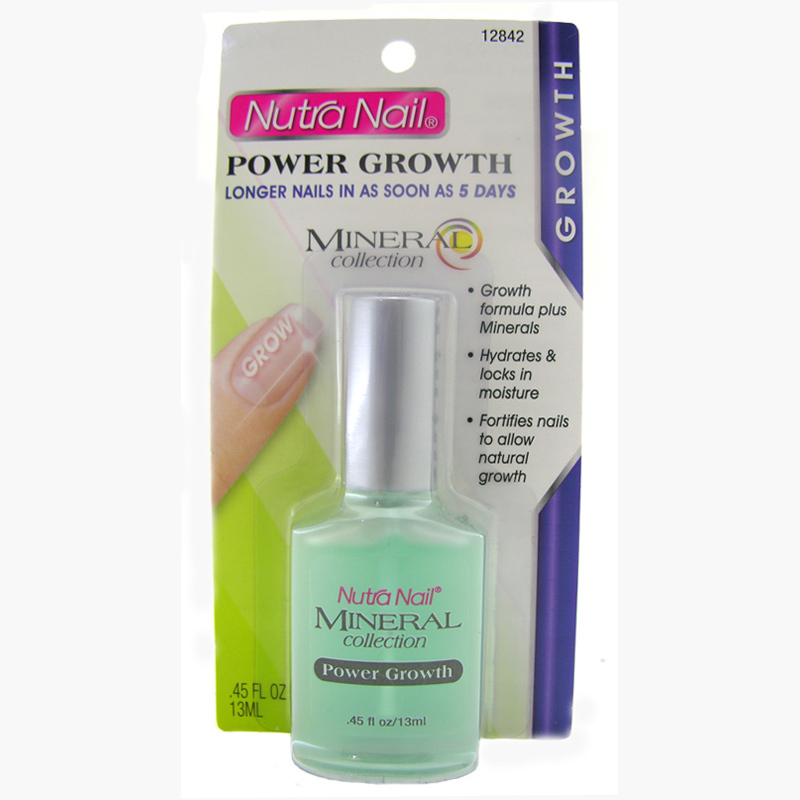 If so, Treat your nails with new Nutra Nail Mineral Collection Power Growth. In just 5 days, you will have longer, beautiful and resilient nails. 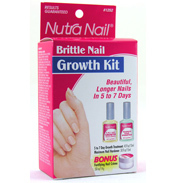 Nutra Nail has added Calcium, Potassium and Sea Salt, essentials from nature, to this unique growth formula that goes on clear and instantly infuses short, dehydrated nails with all they need to help them grow long and beautiful. Plus this water-based formula hydrates nails to the optimal condition for growth. Short, brittle nails are fortified and longer in just 5 days! 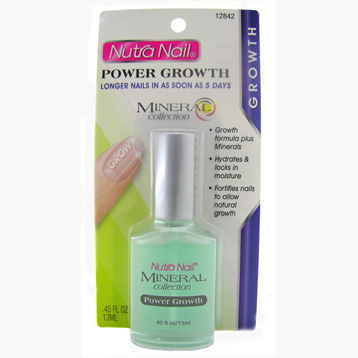 Get the long, beautiful nails you’ve dreamed of with Nutra Nail Mineral Collection Power Growth. Water (Aqua), Polyquaternium-11, Aloe Barbadensis Leaf Extract, Potassium Cocoyl Hydrolyzed Collagen, Calcium Pantothenate, Tocopheryl Acetate, Sodium Chondroitin Sulfate, Camellia Sinensis (Green Tea) Leaf Extract, Maris Sal (Sea Salt), Sclerotium Gum, Disodium Edta, Polysorbate 20, Pentaerythrityl Tetraisostearate, Silica Dimethyl Silylate, Butylene Glycol, Caprylyl Glycol, Phenoxyethanol, Hexylene Glycol, Blue 1 (Ci 42090), Yellow 5 (Ci 19140). Apply over entire bare nail, cuticle and under nail tip. Massage into nails and cuticles for 5 seconds. For best results, use twice daily. Use with or without nail colour.